With both a front and back porch, Bayberry II maximizes outdoor living spaces. Three generously sized bedrooms each have their own walk-in closet. The kitchen, which has a walk-in pantry and center island, flows seamlessly into the spacious dining room, perfect for any dinner party. The large living room, which opens to the front porch, offers plenty of space for family gatherings. 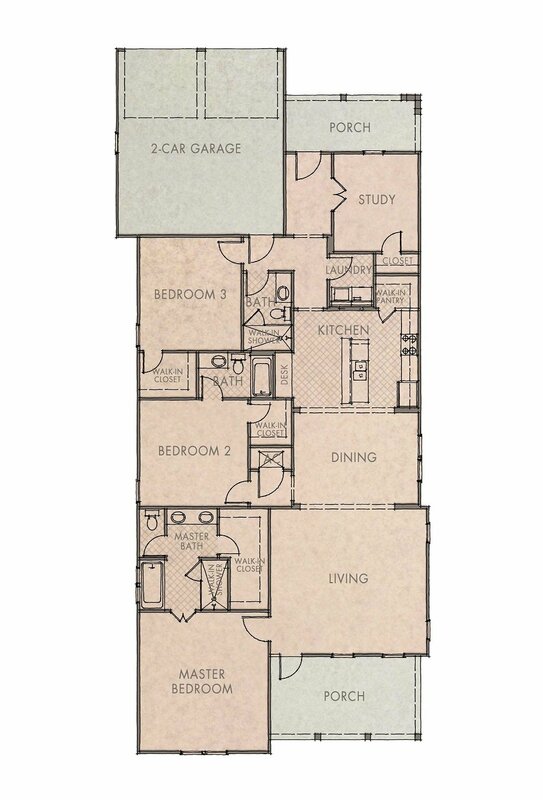 The Study provides additional space for an office, hobby room, or additional storage.